The Linksys Wireless-G WPS54G Print Server lets you connect a USB printer directly to your network, eliminating the need to dedicate a PC to print sharing chores. Using a Print Server frees up your "print share PC" so you don't have to leave it on all the time. It also removes the printing bottleneck, and sets your PC free to do more useful work!The Linksys Wireless-G WPS54G Print Server complies with IEEE 802.11g, 802.11b, and 802.3 standards and features a USB 2.0 port. 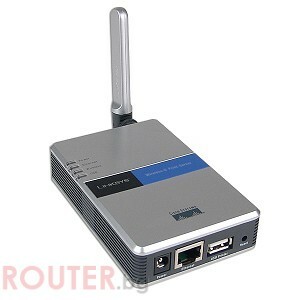 Let this Linksys Wireless-G WPS54G Print Server bring efficiency to your printing tasks. Order today!